"Give a man a fish and he'll eat for a day. Teach a man to fish and he'll never go hungry." Sound familiar? This was the response I gave to my friend at our lunch date when she asked one last time if she could pay me to make her a doll for her daughter. She loved my dolls, but I rarely sell them. Quickly I said "no" (again). Instead of making it for her, I suggested she come over to my home studio so I could teach her how to make her own. 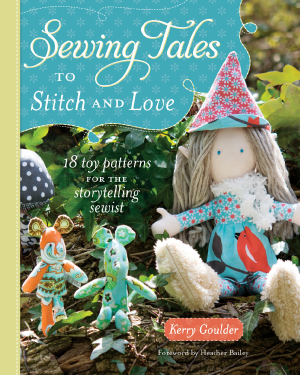 She knew how to sew a little, but never made a doll. I told her she could buy a doll from me, or anyone else, or she could learn how to make countless dolls. Not only would it save her money - for reals, but each doll would become something special, something worth passing down...heirlooms. My friend accepted my offer, so we booked a date. She came over two weeks later to make a doll for her daughter. 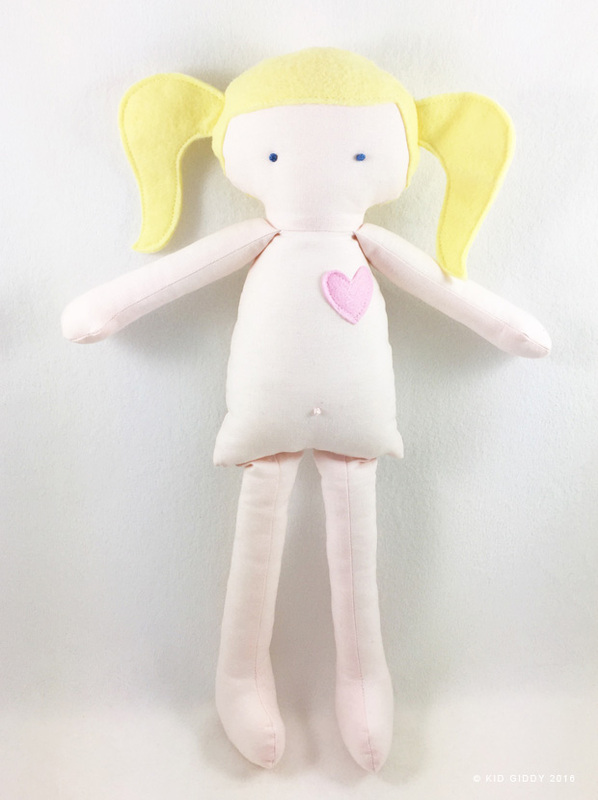 Between our chatter and giggles, she learned how to use the Sizzix die cut machine, glue baste, sew curves, use new stitches on the sewing machine, clip and notch curves, and stuff her doll in only 4 hours. That's it - just 4 hours! Once she finished stuffing the doll, I taught her how to sew a ladder stitch to close up the bottom of the doll. Then we gave her eyes, as well as a belly button to call it done. 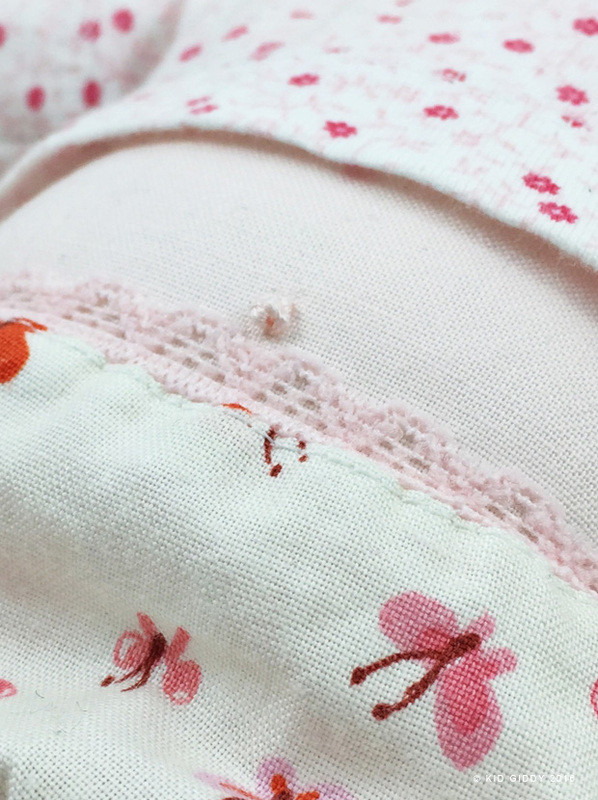 As she was sewing it closed we got to chatting about handmade things. 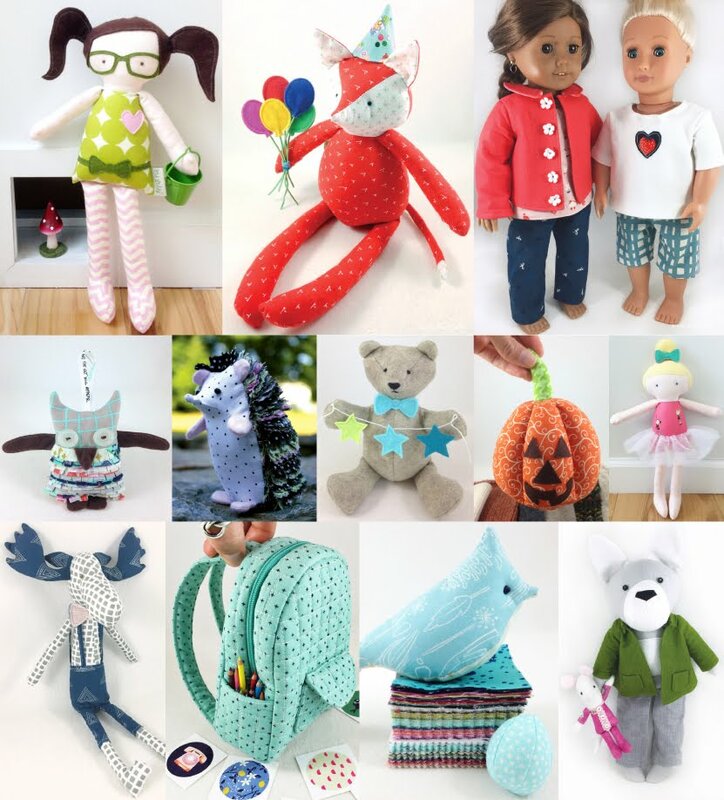 She didn't know all that it took to make a doll and how not everyone realizes how long things take to make - be it clothing, or dolls, or quilts. Everything takes time, every stitch is thought out and meaningful. When we make something with our own hands, it will be appreciated so much more than it would've been otherwise, if purchased. She was so proud of her doll, and I was so proud of her and her doll too. We were pretty exhausted but we took a selfie with her doll anyway just before she left at 10pm. The next morning, her daughter woke up to the best present her mother had ever made her. She sent me a video (which I understandably can't share) in the which her daughter exclaimed her excitement that this new doll was all hers, and her mom made it. She even said "WOW - good job Mommy"! After much excitement, her daughter also lovingly gave her doll a name, later changing it to Elizabeth. "I have known Kerry for approx 2 years. When I found out she sewed for a living and I saw all her beautiful creations, I just knew I had to get my hands on a doll! 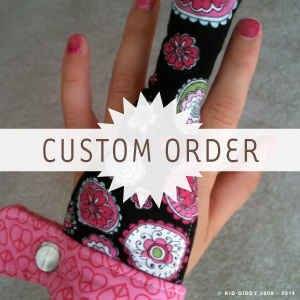 They are so incredibly cute and I knew my daughter would love to have one. Especially if it looked just like her. 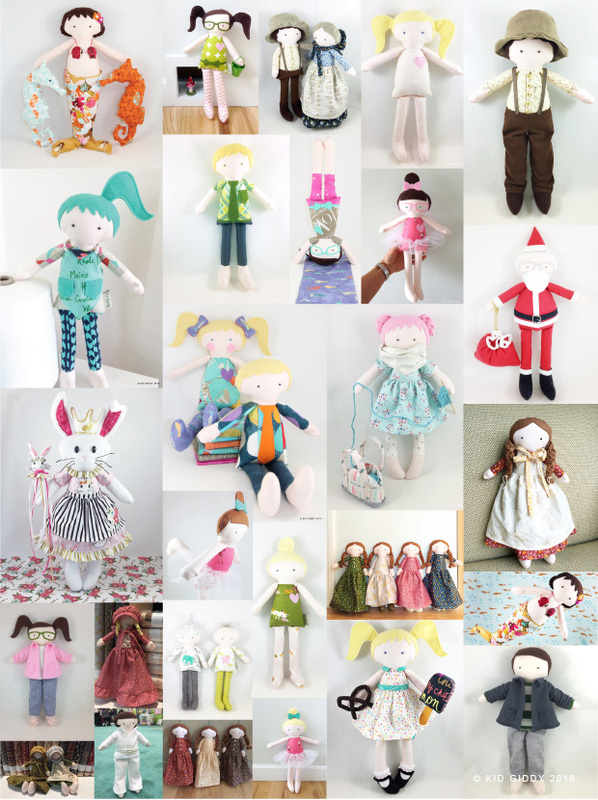 So a few months ago Kerry and I met up and I asked her once again if she would make me a doll. I even offered to pay!!! She finally caved in and said, “NO, but you can come over and I will TEACH you how to make a doll.” I’m not going to lie, I wasn’t very thrilled. I’m extremely intimidated with sewing machines and anything to do with a needle and thread. However, since I really wanted this doll, I knew I had to commit and just do it! Kerry was amazing to say the least. 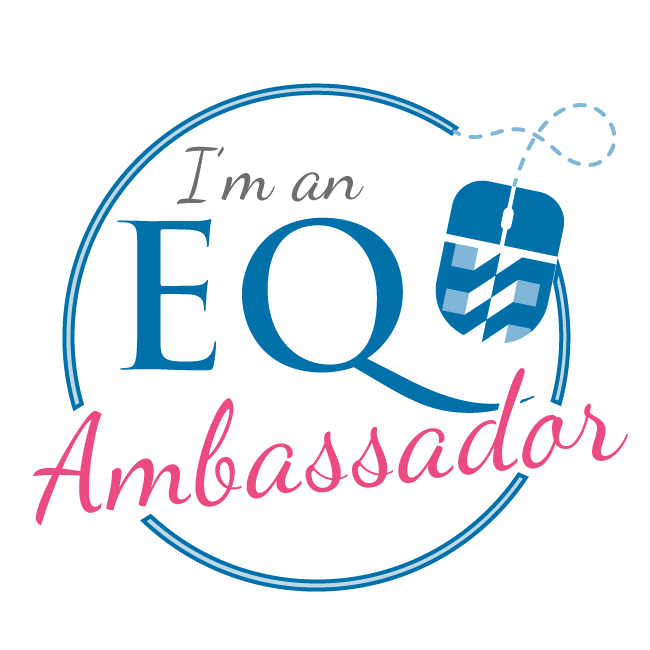 She is so particular and an achiever at everything she does. Making the doll was definitely challenging; Mind you, like I said before, I’m scared of anything to do with sewing. Kerry made it as simple and easy as possible for me. This doll took us four hours to complete but was totally doable, and we had an AWESOME time making this doll together! I found out a lot of other hidden talents this lady has, she is unbelievably talented. She is an amazing mom, wife and friend. After I left, I had such immense gratitude for her. That doll took us 4 hours to make. I know she can probably get a doll done on her own much quicker, but it still takes time, precision and effort on her part. You know the saying, “give a man a fish and you feed him for a day. Teach a man to fish and you feed him for a lifetime”. Well she took the time out of her busy schedule and not only taught me how to make a doll, but gave me the confidence and realization that I could do this again. Next time, I know I won’t be so nervous! Yes, there will be a next time, since my daughter is already asking for another one. 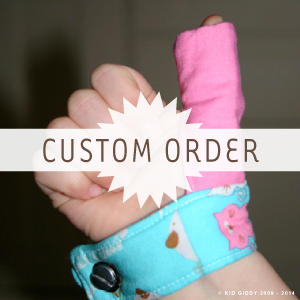 Kerry, THANK YOU for all your love and encouragement and helping me make something so precious. It is an heirloom that will be passed down for many generations to come." 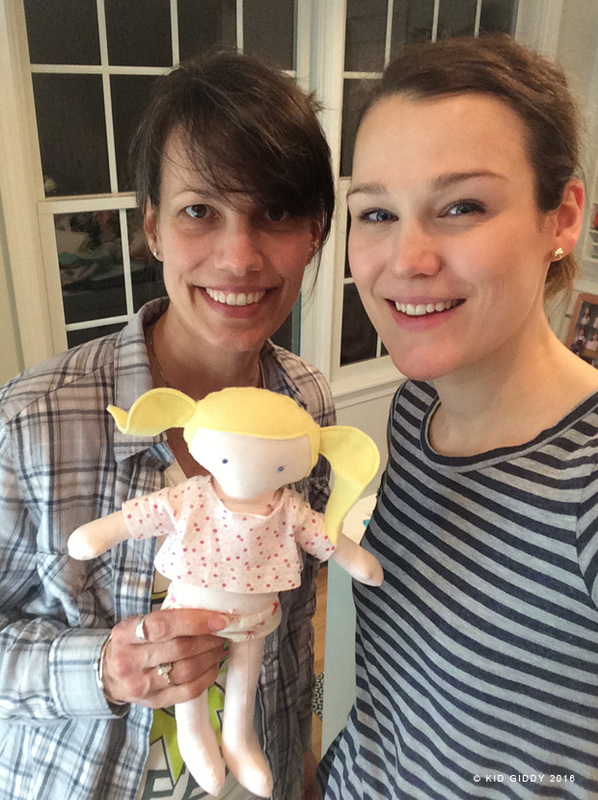 We made this doll "naked" so we could take her daughter's old clothes and make them doll size with my new die. 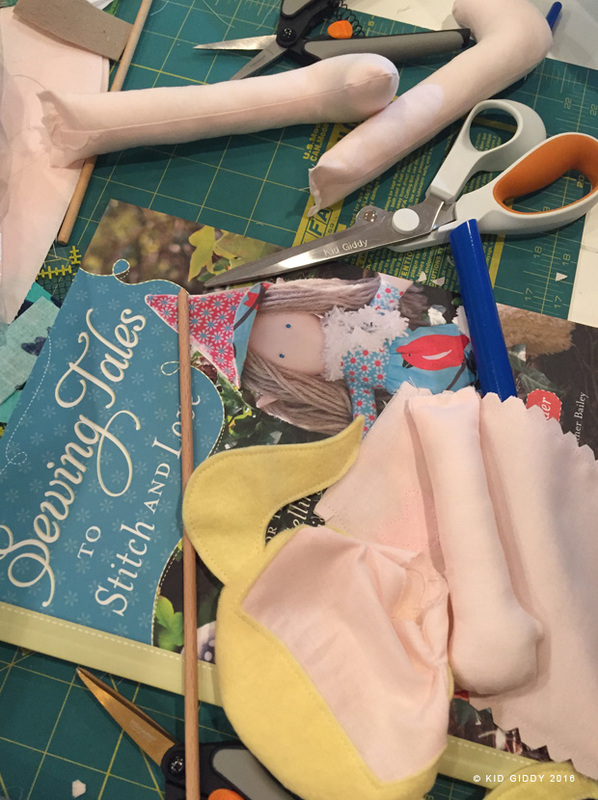 During the retreat, we will be making Kid Giddy Dolls (and/or Foxes), Doll Clothes (using my new Sizzix Doll Clothes die) and even a fun class on using my Sizzix Kid Giddy Doll/Fox pieces for a really cute applique quilt block. Did I mention there will be a trunk show with Jenny Doan Wednesday evening and a trunk show with me the morning we get started? I'm bringing all my dolls with me - including Bubbles, Queen Phoebe, Elvis and so many others! They didn't want to miss out on coming to the retreat too for inspiration and to meet all of you. For more information about the class, materials to bring, registration info and to sign up, please click here to visit the Missouri Star Quilt Co. / Kid Giddy retreat listing. 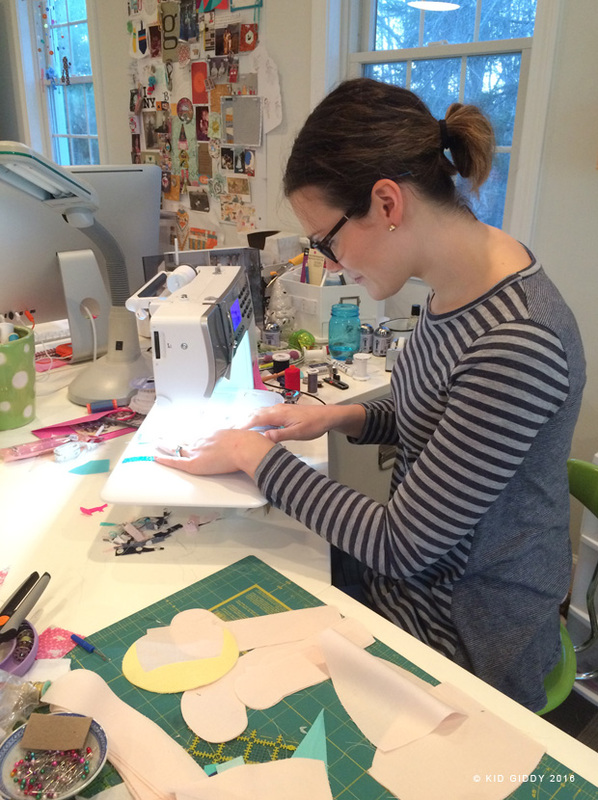 I'm so excited to sew with you and teach you all of my tips and tricks in doll making! I can't wait to see what we make together!